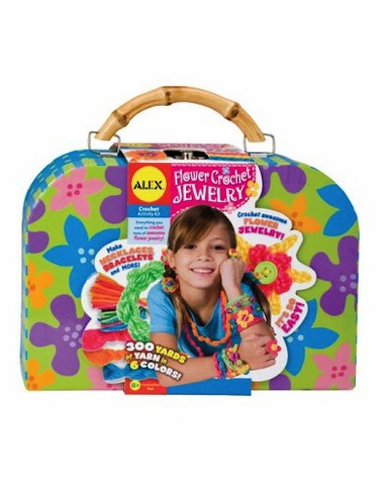 This kit includes everything your child needs to make colorful flowers and turn them into awesome floral jewelry and accessories! It will teach them how to crochet and make their own accessories! Comes with 300 yards of yarn in 6 tropical colors, crochet hook, plastic needle, beading needle, beads, buttons, silk flowers and easy instructions.